The forest of Dadia lies 65 km north of Alexandroupolis, in the prefecture of Evros, in Thrace. Of the 38 species of diurnal raptors occurring in Europe, 19 nest in the area and some 10 more overwinter or pass through during migration, thus creating the most diverse population of birds of prey in the whole of our continent. Dadia is also the richest area in Europe in reptiles and amphibians, with a total of 40 species, many of them rare. The vats oak and pine forests provide an astonishing variety of habitat niches that support many bird and mammal species, along with a great variety of wildflowers and flora species. A protected area was established in 1980 for the protection of birds of prey, the Black Vultures in particular. 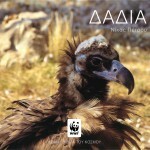 The Black Vultures of Dadia are the last in Greece and the Balkans and, along with the Spanish birds, one of three remaining breeding populations in Europe.